EXPIRED FILM DAY IS MARCH 15, 2017! Welcome to the second annual Expired Film Day! Go out on Expired Film Day, March 15, 2017, and shoot lots of expired film! Mark your calendars and make those vacation requests now, because that’s a Wednesday this year. Also note: Plenty of winning pictures last year were made on lunch breaks, walks to work, and in the evening — just because you can’t get the day off doesn’t mean you can’t join in the fun! 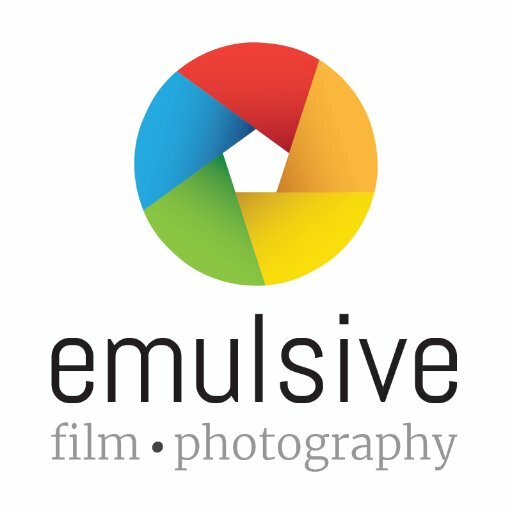 Due to the extreme logistical and financial burden the expired film giveaway in 2016, and low participation in the main event from recipients, it has been discontinued in favor of more and better prizes for winning submissions. One expired film grab-bag prize (from the personal supply of organizer Daniel J. Schneider) will be awarded to a single winner, randomly chosen from among all the submissions that do not win any other prizes. Also for 2017, we welcome a new sponsor! Film Rescue International has, for years, specialized in extracting usable images from old and esoteric films. While their staple business is rolls of undeveloped film found in parents’ and grandparents’ attics, they hope to branch out and serve as a resource to expired film photographers of all types. Welcome aboard! UPDATE, APRIL 16: Submissions for the 2017 contest portion are now closed! After you use your expired film on March 15, and beginning that day, submit up to three (3) images to our shared gallery for a chance to win a variety of fun prizes. Make sure to pick your best photographs! Each image you submit must be taken on March 15. Since we can’t easily verify that, you’re on your honor. If we somehow catch you cheating, though, your entry will be deleted and ineligible for awards, and you will be banned from future participation and called out publicly and repeatedly, because … really? Note: Images that have obviously been heavily post-processed will be disqualified. Removing dust and slight adjustments to exposure and color (consistent with typical darkroom processes) are fine. Winning photos will be featured in a post here, so check back! All submissions are automatically displayed here once they have been approved. Criteria: Best day-of Twitter or Instagram post: Share the best photo of your experience on March 15 participating in Expired Film Day. Include a short message along with a photo of your film, camera or subject. I’ll pick my favorite and get in touch with you. Be sure you include the #ExpiredFilmDay hashtag so I can find your posts! Prize: THREE Shoot Film Co. prize packs each worth up to $50, featuring goods from ShootFilmCo.com AND 1 roll of expired film. Prize: Two prizes, each consisting of two rolls of expired color negative film with free processing and scanning from OSPL. Criteria: Poppers’ Choice, and Lab Rats’ Choice — any eye-catching image could win! Prize: Five rolls of mystery expired film! Criteria: The Pusherman Award — instead of overexposing your old film, overdevelop it! Multiply the age of the film by the number of stops you push to determine your Pusherman Factor. Example: 50-year-old film, pushed 3 stops, has a Pusherman Factor af 150. Highest Pusherman Factor with a usable result wins! Prize: Three prizes, each consisting of three expired film packs! Winners can choose from SX-70 (two prize packs available), or 600 (one prize pack available) formats. Film Rescue International — New for 2017! Prize: Film Rescue full-service processing on one Kodak Kodacolor-X, Kodak E-4 color roll film, or one Agfachrome CT18 135 cassette. Film Rescue’s full-service processing safely creates a black-and-white negative, which is scanned. The film is then chemically reprocessed (“accelerated”) into a color negative, and scanned again. Customers receive both sets of scans. “Roll film” for prizes 1 & 2 means 120, 620, 127, etc. — film on a spool with a backing paper, not in a cassette (such as 135 or 126 format films). You must source the film on your own to redeem the award. These films are uncommon emulsions and have been stored frozen a long time, but their complete storage history is not known. 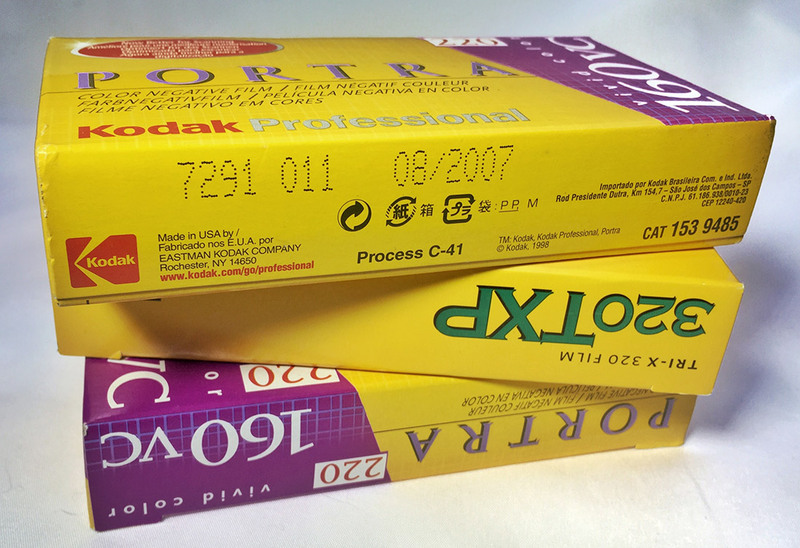 Re-loaded 126 film includes a backing paper that should allow it to work in any 126-format camera. Participants will be required to specifically indicate interest in this opportunity when submitting, and asked to describe some project ideas. The exact nature of the joint project will be agreed upon by the winner and Film Rescue. UsedPhotoPro — New for 2017! You don’t have to buy anything from anyone to join in the fun. In fact, you can participate with just the hashtag. You will have to submit according to the guidelines above for the contest (the prizes part). Key dates Submission photographs must be created March 15, 2017, in the submitter’s local time zone. Submissions for the contest are open from midnight UTC, March 15, 2017, through midnight UTC, April 15, 2017. Eligibility To be eligible for the contest, you must be a resident of Earth and a photographer. (You’ll also need some expired film. And a camera.) Sponsors, their families, employees or contractors, and anyone who shares an address with a sponsor is, unfortunately, prohibited from winning prizes awarded by that sponsor under U.S. laws. Contest Judging Prize winners are selected at the sole discretion of the sponsor or their assigns, using whatever criteria they have chosen. Notification We will try to get in touch by the contact methods (specifically, email) provided with each submission. If the entrant does not get back to us, we’ll be forced to award prizes to runners-up. March 15, 2017: EXPIRED FILM DAY. 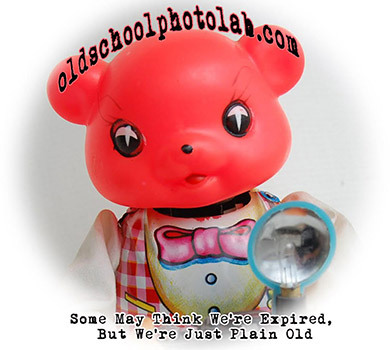 Make your expired film photographs! March 15, 2017: Start of Contest submission period. April 15, 2017: End of Contest submission period. April 30, 2017: Contest winners chosen and announced.